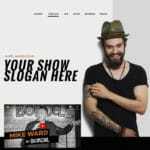 This blog post is the top resource you’ll ever need to find the best free WordPress music theme for your music band, musician website, record label or other music-related website. As we know, music plays a crucial role in our society today. It bears the capability to toy around with our emotions and now thanks to state of the art online streaming services, we can finally purchase and listen to most, if not all, songs on any device from any place. 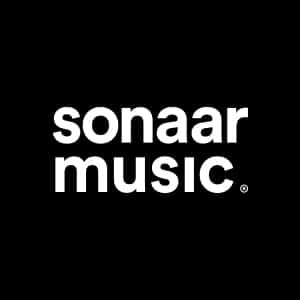 This is the best thing about music nowadays, and as an artist, band, producer, record label, DJ, or nightclub, you will need to jump on this bandwagon and make the most of every opportunity that comes with this innovation. You see, most musicians think creating a SoundCloud profile and Facebook page is all they need to get noticed. While this may be true to some extent, it is not the best approach if you are looking to skyrocket your sales and boost your credibility on the process. 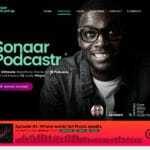 I recommend you couple your Social Network accounts with a powerful site designed using the Best free WordPress theme for musicians. 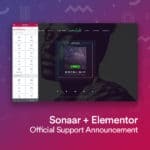 Without further ado, here is a list of the best free themes for anyone working in the music industry. 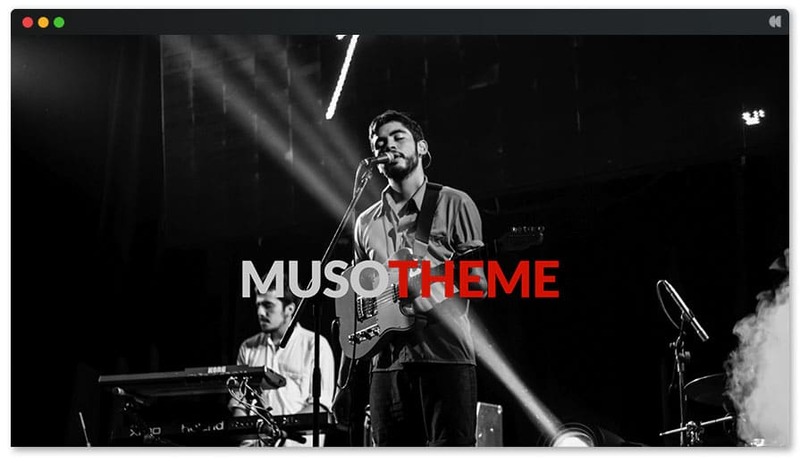 Muso is the 1st best free WordPress music theme I would like to share with you. 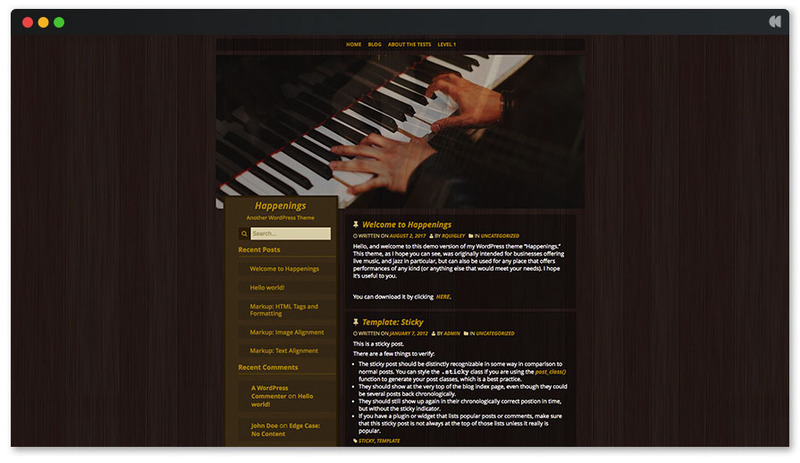 Its the ultimate music WordPress theme for bands and musicians. Why? You may ask. 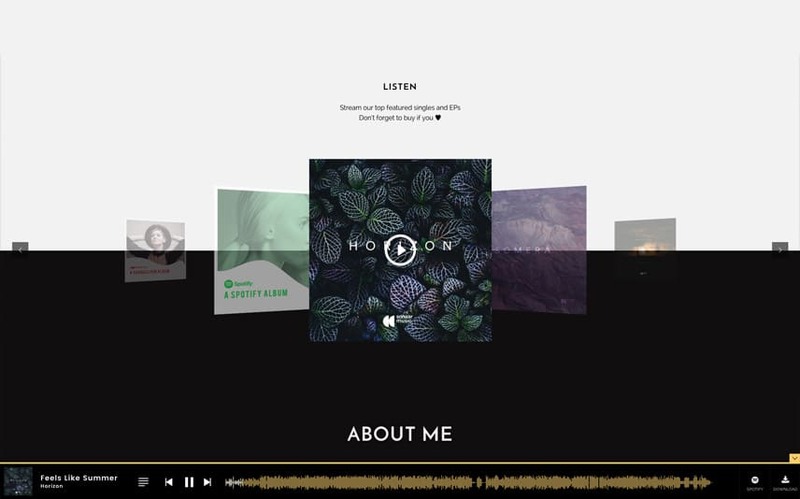 Well, to begin with, Muso comes with different styled demos that you can customise to your liking. Trust me, given how good all these demos are, I guarantee you’ll have a hard time narrowing down the list. Secondly, Muso is compatible with lots of free, and useful plugins such as Jetpack, WPForms Lite, W3 Total Cache and many more. Jetpack helps you design your website by giving you free access to tons of features such as analytic reporting, site stats, and social media posting, whereas W3 Total Cache reduces the load time on your server hence improving overall site speed. All these plugins are designed to make work easier for you as you set up your website. 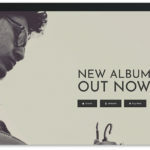 Deejay is the 2nd best free WordPress theme for musician that I would like to share with you. This is a very flexible and customizable WordPress theme for everyone in the industry. 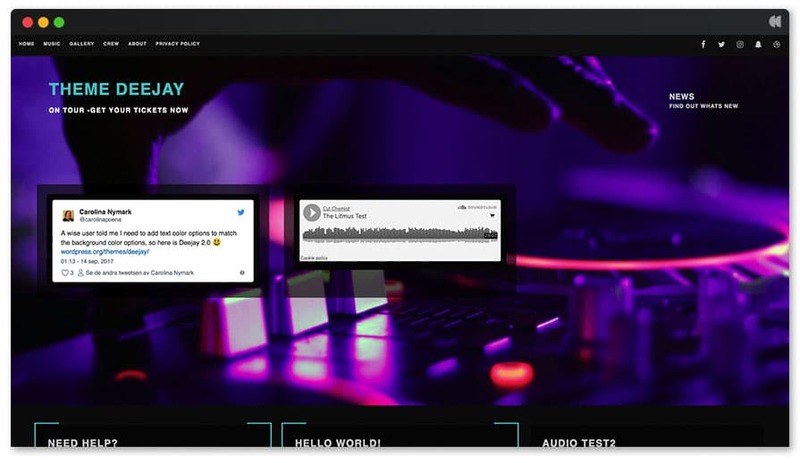 Coming with uniquely styled demos, Deejay guarantees you that you’ll love its simplicity and ability to hook your site visitors at first glance. 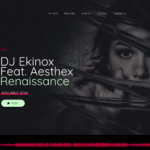 Most importantly, Deejay expresses creativity in a classic style with its striking colour, state of the art features, and lots of compatible WordPress plugins. Give it a try and let me know what you think. 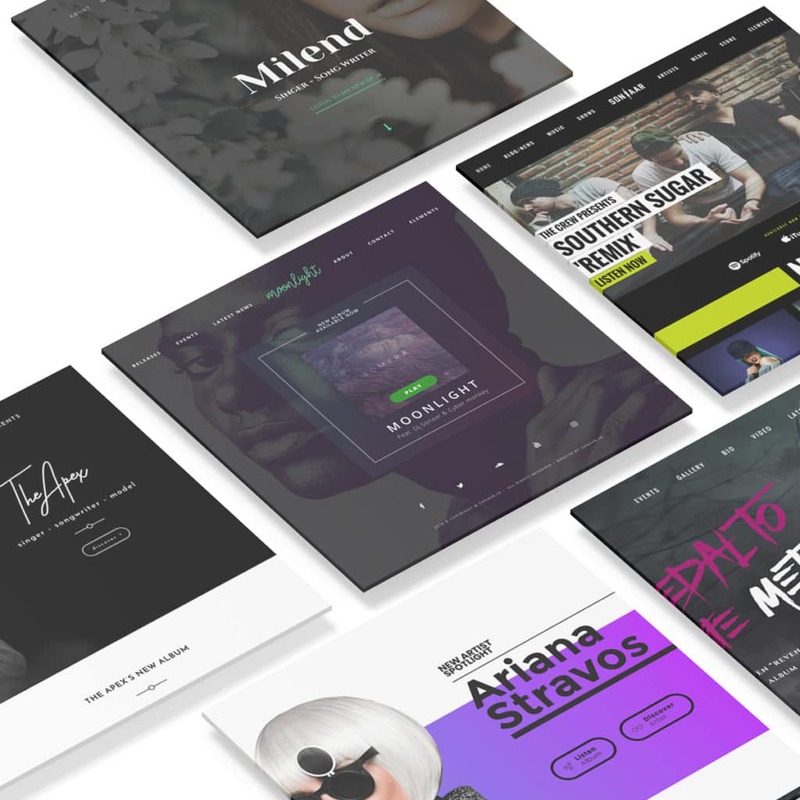 Designed and created specifically with artists and the entire music industry in mind, Musical Vibe is a free WordPress music theme worth checking out. It is graphically advanced and flexible to ensure that your site viewers keep coming back every once in a while. Boasting a stylish and responsive design, this WordPress theme definitely ensures a faultless performance. 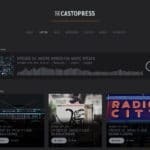 Even though this list is for Free WordPress Music Themes, it would still be incomplete without this Premium theme: Apex. I know what you’re thinking to yourself. “There are eight more free WordPress themes in this list. So, why should I, in my right mind, want to purchase this premium WordPress theme?” Well, there are actually several “very” good reasons why you should consider this premium theme for your WordPress site. The main reasons are the awesome design and the theme support. Apex is a 100% compatible Elementor WordPress theme. It has a continuous audio player which means the music will not stop when you switch to another page and it’s fully responsive on mobile! Also, it comes with free customer support! More often than not, your theme may start misbehaving if someone accidentally messes up with the code or the layout. If this happens and you’re using a free WordPress theme, chances are you’ll be required to hire a tech whiz who in turn will charge you hundreds of dollars to fix the code. But if you acquire Apex, you’ll be offered a full year of 24/7 theme support. You’ll not need to hire a professional to fix your code or help you set up the theme. In case you need help, all you’ll need to do is email or chat with a professional and friendly support crew who is always willing to help. 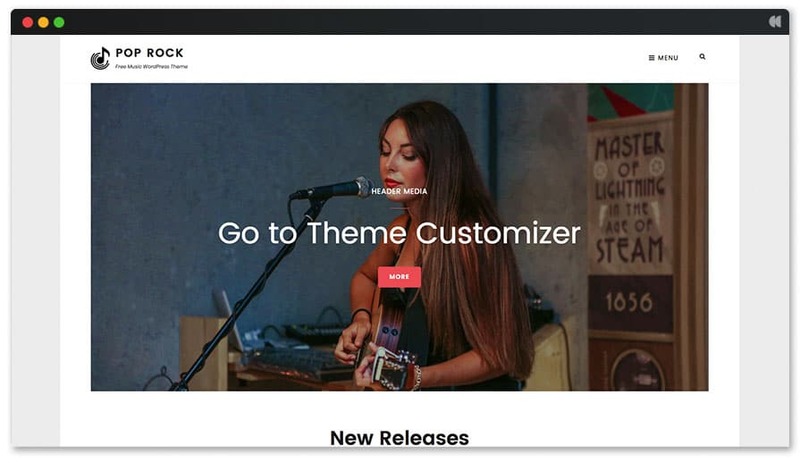 As one of the best free WordPress themes for musicians, PopRock has managed to make a good name for itself for standing out as one of the most powerful and versatile themes ever invented. Would you like to take a step further and make a unique impact on everyone who comes across your site? This is the best free product for you. Designed to be compatibe with the beginner-friendly plugin, Elementor (a free front end drag and drop builder), this theme is responsive on devices of all screen size. Create your playlists, add your tracks, add lyrics & shareable links, do whatever you want with this theme and I guarantee it’ll still look great. 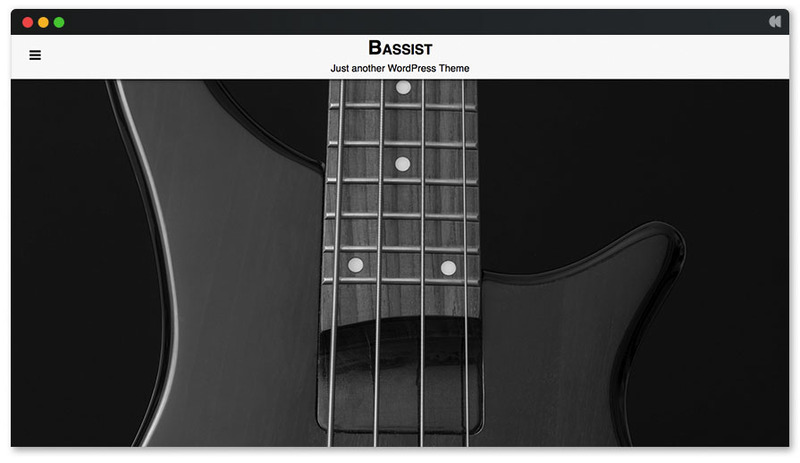 Yet another mesmerising free WordPress music theme, Bassist comes with a visually stunning design and array of useful features. 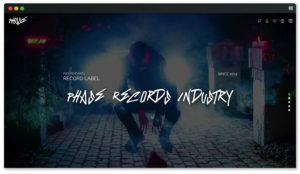 With this theme, you can easily share your music with fans & followers and create a name for yourself in the industry. The exceptional Event Management section, for instance, allows you to organise and plan events and concerts alongside the discography management. Perks of Bassist are quite endless, so I suggest you try it out and find out yourself. 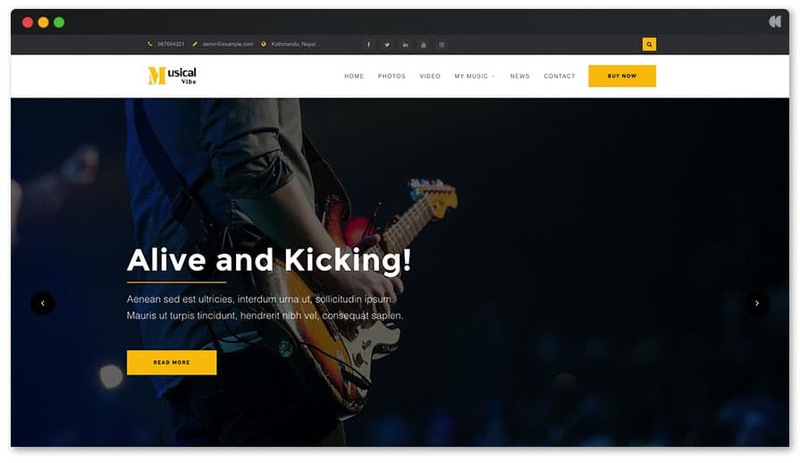 As long as you’re a person with a passion for music, MusicMacho is a creative and extremely innovative WordPress music theme that will help you attain your wildest dreams in the industry. 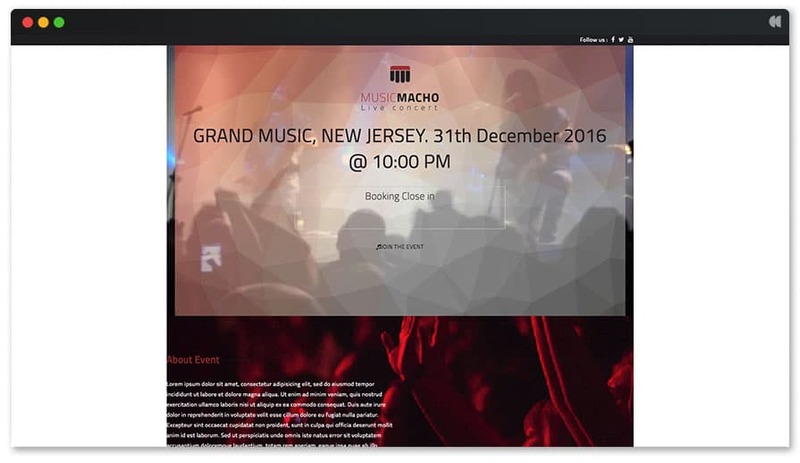 Better yet, MusicMacho is powerful and packed with lots of features that make it adaptable and easy to customise even for beginners. 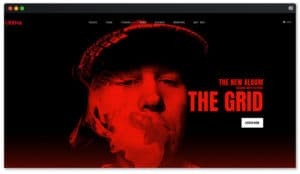 This theme is best suited for anyone looking to share, create, and sell their music out to the global audience. If that sounds like you, then go for it. 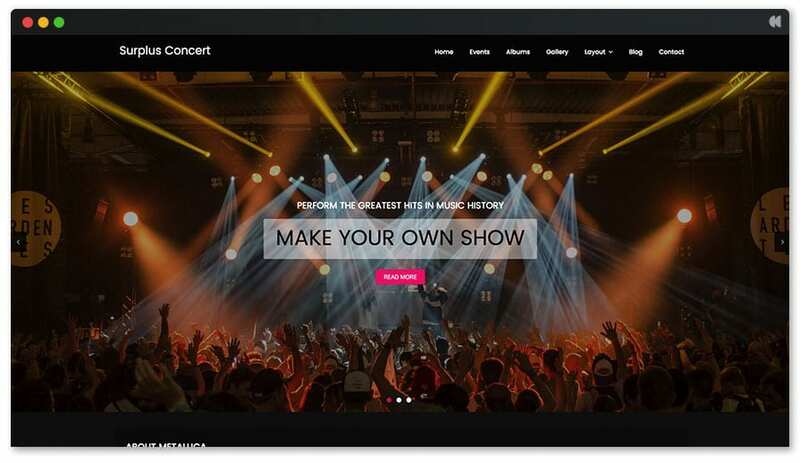 Happening is an astounding option for those looking for a free WordPress music theme to advertise and announce their events, such as musical plays or performances at theaters and other venues. Thanks to its responsive design, edges, and retina ready functionality, this theme is also guaranteed to help you stand out in the crowd. Happening is best suited for literally everyone in the music industry, including, but not limited to, recording companies, DJ’s, musicians, producers, and even music enthusiasts. Last, but by no means the least, Surplus Concert. Do not let the position fool you. This theme is as good as the first, second, and third product we’ve reviewed in this list. With that said, Surplus Concert is a colourful, vibrant, and visually mesmerising free music WordPress theme. Each element and feature in here has been keenly crafted and designed with the music industry in mind. Whatever your musical goals, this theme features it all. Surplus Concert is also retina ready and very responsive. I hope you loved the content. I went above and beyond to try and ensure there is a theme for everyone in this list. 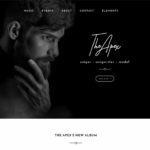 However, if by any chance you could not find what you are looking for, I urge you to take a quick look at these collection of the Best Music WordPress Theme specifically designed for music bands and musicians. You never know, what you’re looking for may be in there. Thank you for browsing!